herk's view from the sixty and two: A Historic Name for a New Plane; Combat Spear! A Historic Name for a New Plane; Combat Spear! AFSOC has sort of been in a bind. How do you replace aircraft lost in combat with something new? 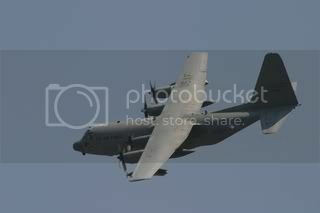 The answer is the MC-130W. 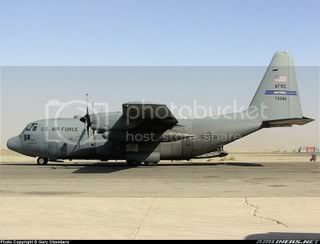 The first one was a used aircraft from the AFRC at Maxwell AFB C-130H 87-9286. AFSOC plans to acquire 12 of these aircraft to replace MC-130E/H Talon I and Talon IIs as well as MC-130Ps (HC-130N/Ps) that have been lost in combat. This is a smart move on their part. It’s a way to get something newer without having to jump into the failing C-130J. 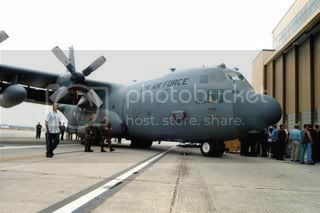 The first MC-130W was delivered to the USAF and landed at Hurlburt Field in July of 2006. The Aircraft was quickly dubbed “Whiskey” because of the “W” designation but that did not last long… Don't call the plane "Whiskey" anymore. They are now going to be referred to as Combat Spear. (The crews will still call them Whiskey... or Combat Wombat) Combat Spear was the name given to MC-130E Talon Is while flying over Viet-Nam. The Combat Spear program often required the special operations aircraft to fly at night over North Vietnam on classified missions, according to an Air Force history of Vietnam operations. On some flights, the planes would air drop South Vietnamese agents behind enemy lines. While the MC-130Es in the US were referred to as Combat Knife and in Europe they were referred to as Combat Arrows. The Aircraft will join the 73rd SOS. The 73rd is a new stand up squadron that opened her doors on October 20th 2006. Her sister squadrons at Duke, Hurlburt, and Eglin are the 8th SOS which flies the MC-130E Talon I, 15th SOS flies the Newer MC-130H Talon II, and the 9th SOS flies the MC-130P. What can the MC-130W do? She will handle the infiltration and exfiltration of Special Forces and air refueling of special operations helicopters. What can they not do? They do not have the Terrain following/terrain avoidance radar like both variants of Talon MC-130s have. But this will ease the pressure off of them and help the Combat Shadows (MC-130Ps) in the refueling portion of the mission. So why add a “new” aircraft without the TF/TA radar sets? COST! The MC-130E Talon Is (1960s vintage aircraft) go for a reported $75 Million a piece and the same goes for the Shadow (I have a hard time believing that) and the MC-130H Talon II is a reported $155 Million bucks a piece. The cost of the new MC-130W just a tad under $60 Million… so, for what it does and what it will do, I think that you can leave the TF/TA to the Talons and let this guy clean up the mess on Isle 5. I'm an former USAF C-130 Flight Engineer (1A1X1),and prior to that a Crew Chief (2A5X1) Flown and worked on: AC-130H C-130E C-130H I am proud of what I have done; I am proud of the men and women who continue on. Where is all the good news from Iraq?